You’d be hard pressed to find a player gripping his stick harder in Nashville right now than James Neal. Brought in to score goals, Neal lit the lamp like it was going out of style in his first month in Music City. 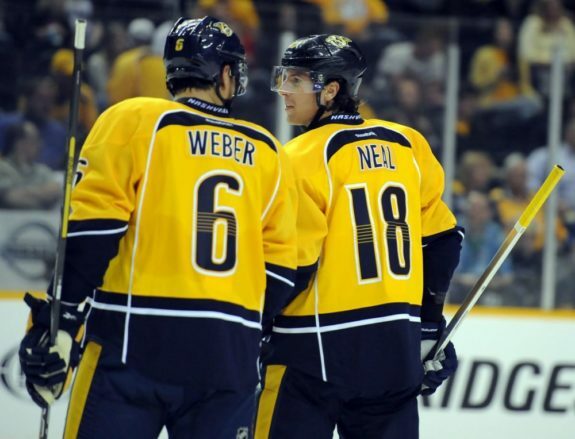 By November 1 Neal had tallied seven goals in just 10 games and was on pace for a Predator’s record. Someone must have played a trick on Neal following his treat Halloween night against Calgary, where he scored twice, because he was unable to score with any consistency in November and it’s getting worse. He has just two goals since his hot start and is mired in a nine-game goalless drought. Somehow, the streak started during the Predators’ 9-2 drubbing of the Maple Leafs on November 18 and has now carried into December. Part of Neal’s problem has been the emergence of Filip Forsberg. 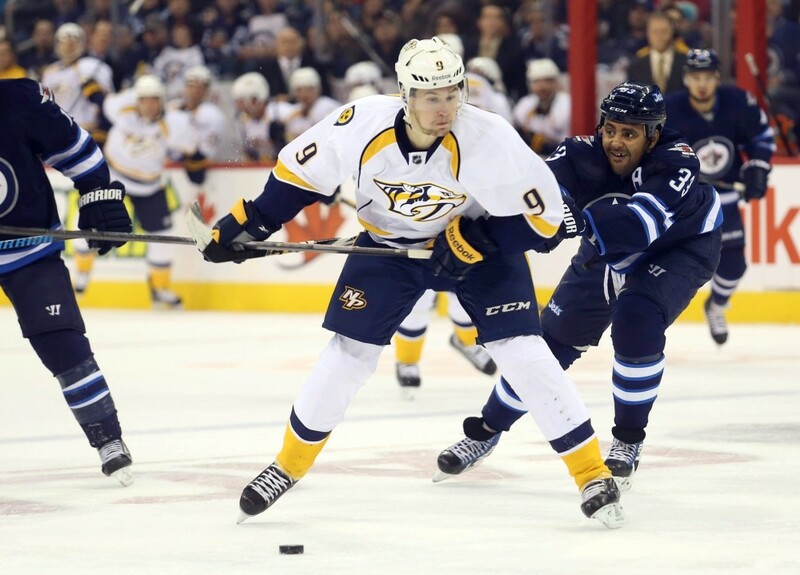 As teams keyed on Neal, Forsberg went on six-game scoring streak to start November. But the crosshairs should now be focused on Forsberg who leads all rookies in goals and points, leaving Neal with a bit more open space to work. Perhaps it’s time for Forsberg to find some new line mates in the hopes of drawing the tough defensive matchup away from Neal and Ribeiro and hope that Forsberg can make things happen no matter who he plays with, as has been the case all season. Either way, Peter Laviolette needs to do something to get Neal going in a hurry, especially as the Predators head out for a pre-Christmas road trip. Six of their next seven games will be played away from Bridgestone Arena and, at least for a few games, they get a break from playing the best of the West. They’re important points for the Predators who sit fifth in the West and need to beat the teams chasing them in the standings. A few goals from James Neal would go a long way to securing those much-needed points.